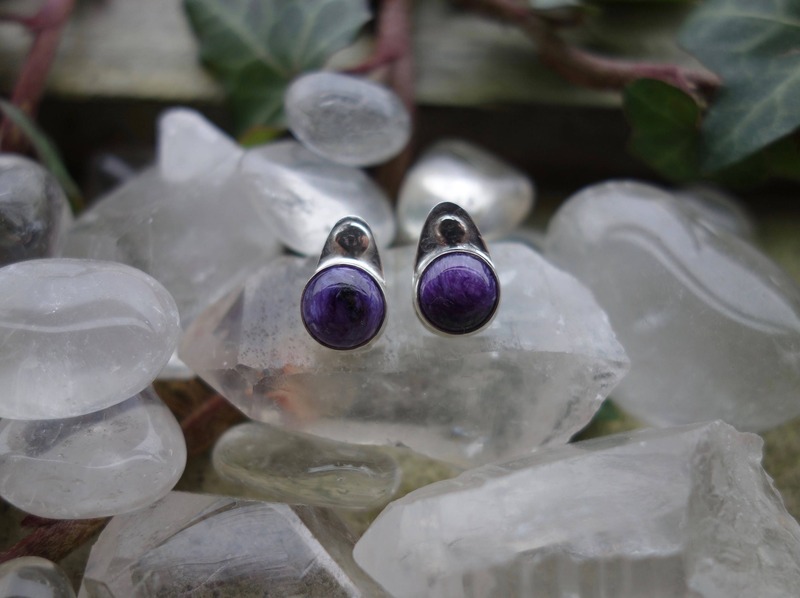 Pair of earrings in silver with charoites natural. For women. Pair of stud type earrings in silver, for pierced ears. 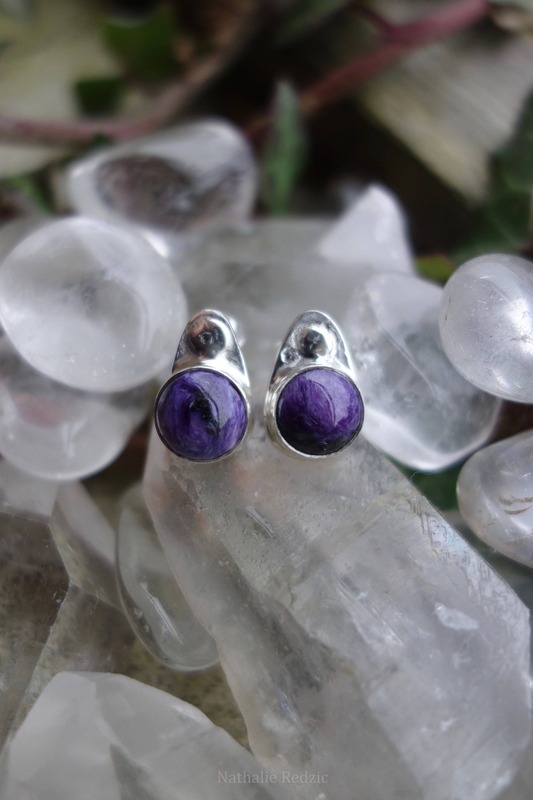 They are set of two beautiful natural charoite cabochons. The earrings are slightly textured on top with handmade engravings. This pair of earrings was made by hand in one piece and is hallmarked with my hallmark.